Tony Urban is the National Leader of RSM’s State and Local Tax Practice and serves as the Nebraska Tax Practice Leader for the firm’s offices in Omaha and Lincoln, Nebraska. He also serves as the Central Region Leader of the firm’s Industrial Products Industry. In addition to leading RSM’s state and local tax practice, Tony is responsible for the overall coordination and delivery of federal, international, and state/local tax services in the Nebraska markets. Urban is a member of the Missouri Bar Association, Nebraska Diplomats, Nebraska’s Association for Corporate Growth. Previously he has served on the Accounting Advisory Board for the University of Nebraska-Linocln, as treasurer of the Board of Directors for the Cox Classic/Omaha Community Service Foundation and as a floor committee member for the Knights of Ak-Sar-Ben Foundation. 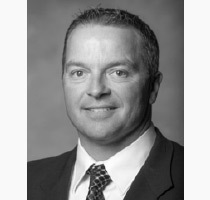 Urban received the Alumni Achievement Award in 2013 from Midland University and is a member of the Midland Business Journal’s 40 under 40 Class of 2009. He has served as President of the SAVE board since its creation in 2009.